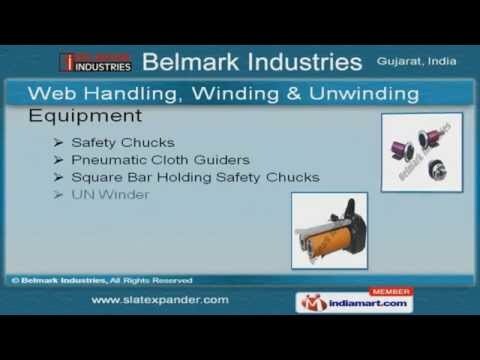 Welcome to Belmark IndustriesManufacturers & Suppliers of Slat Expander RollsThe company was incorporated in 1995 at Ahmedabad. We cater to Paper, Textiles & Lamination sectorsacross Europe, East Asia & North Africa. We are well known in the market for our world class quality standard, customization & timeliness. Our product list includes Industrial Rollers, Web Handling, Winding & Unwinding Equipments. We provide Wrinkle Removing & Industrial Rollers that are widely acclaimed in the market. Our Web Handling, Winding & Unwinding Equipments are well known for their impeccableperformance. We also offer Rolls for Different Applications & Core Holding Device. Our Ink Circulating Pump & Bow Rolls are one of the best in the industry. Along with that we offer Edge Tracker & Guider Equipments at market leading prices.